Professor Victor Weisskopf physicist who studied under Niels Bohrr worked on the A bomb and over saw the development of European atom smashers. “I was shocked and amazed how Mr Geller bent my office key at MIT while I was holding it. The sturdy key kept bending in my hand; I can not explain this phenomenon I can only assume that it could relate could relate to quantum chromo dynamics”. 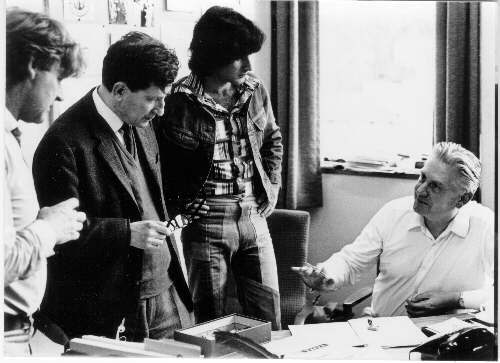 Jack Sarfatti – PhD, Physicist “My personal judgement as a PhD physicist is that Geller demonstrated genuine psychoenergetic ability at Birkbeck which is beyond the doubt of any reasonable man, under relatively well-controlled and repeated experimental conditions. “. Dr.Fenwick is a senior lecturer at the institute of psychiatry,London, Consultant Neuropsychiatrist at John Radcliffe infirmary in Oxford, and Honorary consultant in Neurophysiology to Broadmoor Special Hospital. He has published numerous scientific papers on brain function and also several papers on meditation and altered states of consciousness. His most recent book is “TheTruth of Light”. Dr. Fenwick is also chairman of ths scientific and Medical network, a group of doctors and scientists seeking to deepen understanding in science and medicine by fostering intuitive as well as rational insights. Professor Gerald Schroeder, who earned his doctorate at the Massachusetts Institute of Technology (M.I.T) in two fields, the planetary sciences and nuclear physics and served as advisor to the Atomic Energy Commission and to countries such as the People’s Republic of China. He earned his BSc, MSc and PhD all at theMassachusetts Institute of Technology. Following that he was seven years on the staff of the M.I.T. physics department, continuing his research at the Weizmann Institute of Science in Israel and the Volcani Research Institute with labs at the Hebrew University. He is the Author of Genesis And The Big Bang (Bantam Doubleday) The Science of God (Free Press of Simon & Schuster; and Broadway Books of Bantam Doubleday) “Uri appears to have concentrated energy. What makes me accept Geller at face value is that unlike a magician, he does not have a bag of tricks. He bends spoons. The one he bent with me peering over his shoulder continued to bend even after he placed it on the ground and stepped away. The Talmud claims there are two types of “magic.” One is the “catching of the eye,” an optical illusion. The other is the real thing, a mustering of the forces of nature. With Uri, I opt for the latter, though he claims he has no idea how these are mustered”. “Geller altered the lattice structure of a metal alloy in a way that cannot be duplicated. There is no present scientific explanation as to how he did this.” (This is the first research related to parapsychology conducted at a US Government facility to have been released for publication by the US Department of Defence). David Bohm is the author of Wholeness and the Implicate Order and worked with Albert Einstein. From a filmed interview at the Museum of Natural History NewYork, February 18, 1974″…Then there is another problem, that I think is very important to realise, and that is that everywhere in the world almost,where one has sensitives that are put in a public position, that is, they may be diviners, they may be seers, they maybe theatrical performers – but whenever an individual with particular powers is put into a conspicuous position, we have a tendency to find trickery also. Now this does not mean that the sensitive is only a trickster, but it does mean that sensitives are very doubtful of their own powers, of the reliability of their own powers. 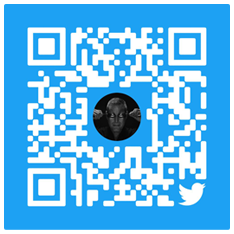 “As a result of Geller’s success in this experimental period, we consider that he has demonstrated his paranormal, perceptual ability in a convincing and unambiguous manner.”(The results of these experiments were published in the respected British journal Nature,Vol. 251, No. 5). 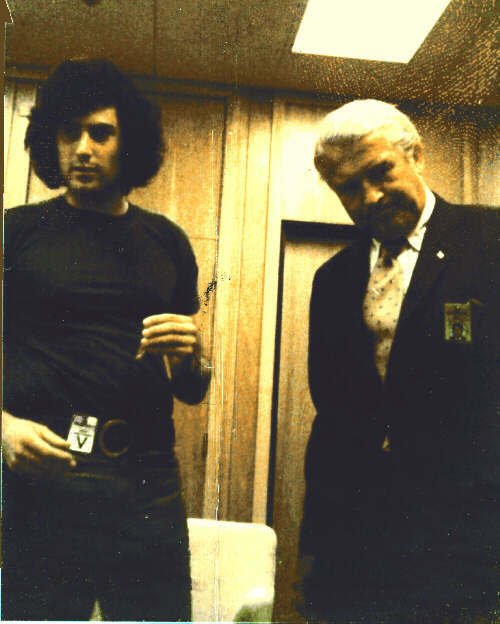 “Uri was tested in my laboratory at UCLA. During the experimentsin Kirlian photography and after hundreds of trials, he produced three extraordinary photographs in which flashes of energy were clearly visible.What wonderfully welcome sights they were! I have also tested Uri’s watch-fixing and metal-bending abilities. He has demonstrated these to me under controlled scientific conditions, in a most convincing manner”. “I was shocked and amazed how Mr Geller bent my office key at MIT while I was holding it. The sturdy key kept bending in my hand; I can not explain this phenomenon I can only assume that it could relate to quantum chromo dynamics”. “The telepathy experiment was conducted under the following conditions; there were 6 people in the laboratory; 2 engineers from the factory that makes thermography (they are both graduates of Tokyo Denki University), 2 student assistants, myself and Mr. Geller. Under no circumstances could Mr. Geller have seen my drawing before the experiment was all over. Only after Mr.Geller drew the image that he received was my drawing revealed”. Uri gave me demonstration of spoon bending. I could find no evidence of trickery nor the use of gimmicks. The fact that the spoon continued bending after he had handed it to me, for my mind, puts the event beyond rational explanation be it scientific or a feat of conjuring. He also demonstrated two examples of thought transference first accurately reproducing a geometric figure I had drawn and second and perhaps more significantly transmitting to me a figure and a colour. Neville Hodgkinson, former social policy correspondent, The Times, and medical and science correspondent, The Sunday Times, London. Author, Will To Be Well – the Real Alternative Medicine (Hutchinson, 1984), and AIDS:The Failure of Contemporary Science (Fourth Estate, 1994). WILLIAM A. TILLER Ph.D., Professor. Stanford University, Department of materials science and engineering. “Attempts made to replicate this type of fracture in conventional ways were unsuccessful. Brian Josephson, Welsh born physicist shared the Nobel Prizefor Physics in 1973 for his discovery of the Josephson effect. Brian Josephson, Professor of Physics, University of Cambridge, winner of the Nobel Prize for Physics, 1973. “Muchis to be learned, and perhaps a better understanding of psychokinesis would be one more piece of the jig-saw puzzle in the understanding of the complexities of the mind. Joyce Jillson – Astrologer who was linked with the White House, “Uri’s powers are awesome, I have experienced them myself. Uri was one of the most amazing interviewees I ever had. Lieutenant Colonel Thomas E. Bearden (US Army, Retired) Ph.D., was formerly senior scientist and department manager of a major aerospace company where he directed the design and production of expert systems (artificial intelligence) applications for the US Army command and control systems. 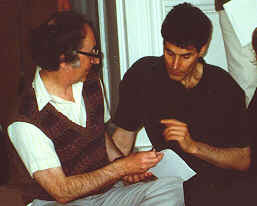 Describing the powers of Uri Geller Dayan Gavriel Krausz said:”God gave us powers we do not understands. Healers have powers in their hands which can miraculously heal people with invisible energies; it is one of the mysteries of the world.” RT.REV. HUGH MONTEFIORE We have heard some very interesting things. 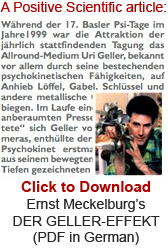 I particularly want to thank Uri Geller for being so honest. Who would have thought that he started his career when drinking soup at the age of four? Who would have thought that he was once a male model? And to send a woman Prime Minister to the loo and to be commended by her. We had a woman Prime Minister who referred to me as “That perfectly dreadful man in Birmingham.” How different from Israel! What moved me most about this very interesting book was that when Uri Geller used his psi ability for self-aggrandisement, it nearly sent him around the bend. He spoke about his fear of committing suicide. This is a gift of God. Now he uses it to help others, including at a children’s hospital. That is surely the best use. I am very grateful to him for making that point and for explaining how the extraordinary powers that some people have, but most do not, can be used. We have all heard Uri Geller. No doubt we have all seen him on television. But to see him in the flesh and to hear him speak so honestly about his life has been an experience for all of us. Mensa, the High IQ Society of Great Britain recently celebrated its 50th Anniversary. With over 100 events staged in just 5 days, MBM was asked to provide a selection of guest speakers and lecturers. 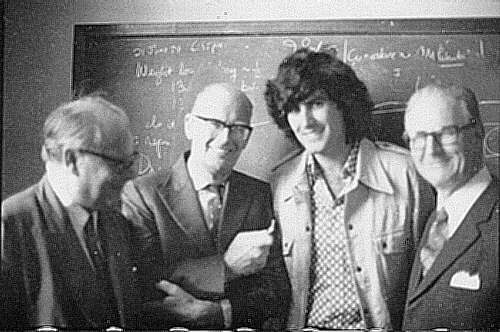 We were delighted to arrange a visit by Uri Geller who dumbfounded society members by the use of his Mindpowers. In addition to his inimitable spoon bending, he caused compass needles to move, seemingly without reason, and seeds to germinate in the palm of his hand. Just as amazing, spoons and keys continued to bend after he put them down. How did he perform those astonishing feats? Well despite a camera projecting his actions onto a large screen, even an audience of some of the most intelligent brains in Britain couldn’t work that one out. “I have invited Uri Geller to our base and witnessed him bend a thick spoon that we provided, in front of dozens of people. What was truly amazing is the fact that the spoon continued to bend after leaving Uri’s hands. Riz Khan. A renowned and respected news anchor for BBC Radio and Television, and for BBC World Service News and CNN. I’ve done more than 10,000 interviews since I started out as a journalist, and I was particularly lucky to have a huge list of significant interviewees over the years, from the Dalai Lama, and Nelson Mandela, to Antonio Banderas, and paranormalist, Uri Geller (still one of my favourites with his spoon-bending and demonstrations of mind-power! ).